NEWS: Chinese People Buys Bottles of Fresh Air Because of Their Pollution! Do you know the book “The Lorax” by Dr. Seuss? In the book, a forest creature named Lorax speaks for the trees, for the trees have no tongues. When a small company starts cutting down Truffula trees to make a Thneed (an invention that “everyone needs”), the company grows into a corporation which cutting down all the Truffulas. In the 2012 edition, the mayor of Thneedville sells bottles of oxygen because of the lack of trees. Sounds funny right? 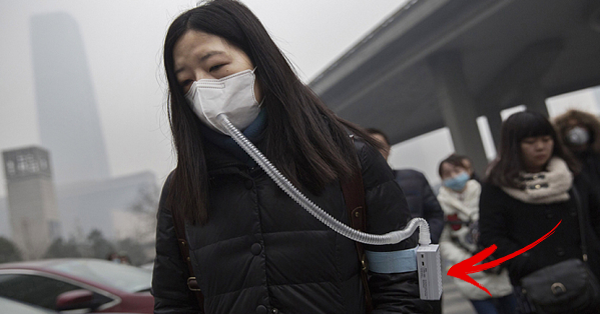 But this is happening now in China where they are buying bottles of fresh air! Vitality air is a Canadian product that started as a joke. They were bottling fresh air from the Banff National Park in the Rocky Mountains. The joke is on them because seemingly, it is in demand in China due to rising pollution levels. The pollution in China is a result of rapid industrialization and in Beijing alone, pollution levels are 20 times the limit recommended by the World Health Organization. The University of California at Berkeley reported that 1.6 million Chinese people die each year due to heart, lung, and stroke problems because of the pollutions that was produced by the industrial company. According to Vitality Air co-founder Moses Lam in an interview with Telegraph, “Our first shipments of 500 bottles of fresh air were sold in four days.” Second shipments of 4,000 bottles are already on its way, but most have already been sold. Customers are usually rich Chinese women who buy for their families or give away as gifts. Conversely, it is also becoming popular in senior homes and exclusive night clubs.